Every once in awhile, a study comes out blasting saturated fat and declaring it to be the cause of heart disease and other health concerns. This drives me crazy because it’s not true and typically there are serious flaws in the research. Saturated fat performs critical roles in the body (yes, we need it: more on that shortly) but it has been made a villain due to some poor research conducted many years ago leading to a myth that remains in place today. If animal fat was so bad for you, how could we have survived all these years dependent on it? 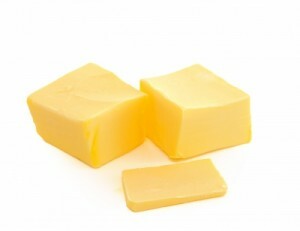 Let’s look at what saturated fat is and why it causes so much concern. Saturated fat became the “bad guy” of heart health back in the 1950s when Dr. Ancel Keys published his hypothesis in a research paper in which he linked saturated fat to heart disease. Unfortunately, as is all too often the case, the research was flawed. Dr. Keys picked through the data and used only some of it: he looked at the intake of saturated fat based on data from six countries that he personally selected and made a case on only that limited data that consumption of saturated fat was tied to heart disease mortality. It took off from there. That may well have been the case in the six countries he selected to make his case (though he didn’t look at all the other factors) but he chose to ignore data from 16 other countries that disagreed with his theory. It’s been argued that his paper was released to support the marketing strategy for Crisco, which was being introduced in the marketplace as a plant-based fat for frying and cooking to replace lard and butter. In order to make Crisco more appealing to consumers, an argument needed to be made that a plant-based product was better than an animal one. There wasn’t a reason to justify that marketing until Dr. Keys paper came out and Crisco sales took off. Regardless of the reason for the paper’s initial release, had Dr. Keys included the data from all 22 countries without bias, he would have shown that the highest consumption of saturated fat was linked to the lowest risk of heart disease, exactly the opposite of what he claimed! His hypothesis has not stood up since then either, despite the fact that the myth remains. A British report looked at data from ten large studies which included more than 400,000 men and women over several years. They found that the number of heart attacks and strokes were smaller among those who consumed the most (whole fat) dairy products and a recent Swedish study confirmed the same result. Saturated fats provide the building blocks for hormones and for our cell membranes. They make you feel full when you eat a meal so you don’t overeat calories, they are carriers for our fat soluble vitamins such as A, D, E, and K, they are the fuel for the heart and they rovide energy when we need it for exercise or exertion. Saturated fats are also required for mineral absorption, for converting carotene to vitamin A and for many other functions and processes in our bodies. We need saturated fat and we’ve depended on it for thousands of years. Other than faulty research (which likely had a food company marketing angle much like the raw milk smear campaign that led to pasteurization in order to sell dirty milk that was otherwise unsellable), the only reason for saturated fat to be labeled a “bad guy” is that the meat and milk we ingest today is very different than that which we consumed one or two generations ago. Animals today are bombarded with growth hormones, antibiotics, and environmental toxins like pesticides in their food, their environment and their health care. These toxins remain in the fat cells of the animals we eat. When we eat the animal fat or drink milk, we take in all of these toxins and they too can remain in our fat cells, and so the cycle continues. The cumulative result of eating these toxins over time can lead to a number of health problems including inflammation, cancer and heart disease. Most of us eat large quantities of meat, milk and especially cheese every day and what the animal (beef, fish, chicken, pork, turkey, fish or otherwise) eats, we eat. That used to be good and it kept us healthy. Animal feed today, however, includes GMO products including lots of corn, and whatever else they can afford when corn costs are high (or sometimes even when they are not) including gummy bears, oreos, deceased animals or other fillers. If you are trying to eat well and avoid such foods but yet you eat traditionally raised animal meat (and this includes chicken and pork as well as beef), milk or cheese, you haven’t avoided them at all! This is the only real concern that whole fat milk or cheese or eating animal fats poses to your health. Grass fed beef and milk products have not been shown to lead to heart disease; they’ve actually been shown to keep you healthy and can definitely be part of a balanced diet. Beef labelled as grass fed can be purchased now in most stores. It costs a little more, but it is totally worth the investment in your health! (For example, Trader Joes sells a pound of grass fed beef for $6.99. They also sell pre-made grass fed hamburger patties in the frozen section, 4 for about $5.99.) If you can’t find grass fed beef, or if you are more adventurous, try bison, elk and venison as these animals remain wild and so still eat a natural diet. The good news with butter and cheese is that if you buy European, most European products come from grass fed animals. Cheeses from France and Switzerland are typically made the traditional way, with milk from cows or goats allowed to roam free and eat their traditional diets. European cheese are plentiful and you can also find raw milk cheese, which offers even more health benefits, in mainstream supermarkets. Finding grass fed butter from an American farm in a grocery store in the U.S. is very hard, even at health food supermarkets. If you can find a local farm, great: I love to support local! If not, brands such as Kerrygold butter from Ireland are readily available and are made from milk from grass fed cows. Please note that organic butter does not mean it comes from grass fed cows, just as organic chicken and eggs do not come from chickens fed a natural diet. It just means the food the animals were fed meets organic standards: better than gummy bears, yes! But they were still fed grain or animal flesh or filler instead of their natural diet of sun-soaked, vitamin D-rich, grass. You have to look for the words grass fed: if they are not there visibly on the label, then the product isn’t made from grass fed cows. Many people are avoiding red meat thinking it poses health risks from saturated fats and are turning to chicken instead. But chicken is also rich in saturated fat and the diets and farming conditions of chickens are even worse than cattle, so if you are really trying to eat healthy, red meat that is grass fed is a much better choice today than most “white” meats. I have found it very difficult to find any chicken or eggs in a store that are not fed “vegetarian feed” fed instead of their natural diet of grass and bugs, even if they are labelled organic. If you can find it, it is usually very expensive. If you can find it and you can afford it, that’s definitely the way to go. If not, definitely choose organic, but keep in mind that even organic products will have a higher ratio of omega 6 to omega 3 fatty acids, which can lead to internal inflammation. If you are trying to feed a family on a limited budget, grass fed beef, venison, elk or bison is usually a healthier and more economical option than finding the equivalent in a chicken, turkey or pork offering. Prices and selection will vary depending on where you live, but don’t be afraid to include saturated fat in your diet especially if you can find a good affordable option. I wanted to keep this article focused on what you really need to know about saturated fats and I’ve shared that here with you now. But if you are curious about what saturated fat really is and want to read on just a little longer, I’ll provide a quick overview of the three kinds of fats and how they are different below. Fatty acids fall into three groupings: saturated, monounsaturated, and polyunsaturated. Each type is made up of carbon atoms with hydrogen atoms to fill in the spaces around them. Saturated fatty acids are acids where all of the spaces around the carbon atoms are completely filled, i.e., saturated. As a result, they are very stable regardless of temperature. They are found mainly in dairy, red meat and chicken, but also in tropical oils like red palm oil and coconut oil. We can also make some saturated fat from eating carbohydrates. Monounsaturated fats are fatty acids have a double bond between two carbon atoms and they are missing two hydrogen atoms. They are called mono because of its single carbon double bond and unsaturated because not all of the spaces are filled: two hydrogen atoms are missing. Because the chain can bend at the double bond point, when you mix a large number of these chains together, it won’t be dense or compact; there will be room in between. As a result, these acids are usually liquid at room temperature and are relatively stable, though not as stable as saturated fats because they are not packed as tightly. The most common monounsaturated fat is oleic acid and examples are olive oil, avocados, peanuts, cashews, pecans and almonds. Your body can also make monounsaturated fat from saturated fat as needed. Polyunsaturated fats are missing several hydrogen atoms and they have two – or more – double bonds. As a result, since there are more than one double bond, they are called poly, meaning many. At each double bond, there is a kink in the chain, so they tend to be very loosely packed and remain liquid, even in colder temperatures. The good polyunsaturated fats are found in whole food sources such as nuts, seeds, fish, algae, leafy greens and krill. These are the foods that have great health benefits for us. However, it’s really important to distinguish that not all polyunsaturated fats are healthy. While the good forms can yield great health benefits, other forms of polyunsaturated fats are not so good for us and can do great health harm. These are the polyunsaturated fats found in vegetable oils such as soybean (a staple in packaged goods), corn, sunflower or safflower oil. They are highly unstable fats and they can go bad, or turn rancid, easily when exposed to heat and light. When they turn rancid, such as when they are heated or fried, free radicals are created which travel around in your blood causing damage to just about everything they interact with. Free radical damage has been tied to cardiovascular disease, autoimmune diseases, Alzheimer’s, Parkinson’s, cataracts, tumors, and aging. We need all three types of fats for a healthy body, so don’t be afraid to include saturated fats in your diet: just be sure to choose fats from good sources and try to avoid processed polyunsaturated vegetable oils.